If your furniture could compost food, why shouldn’t it? Form and function are nice, but how about adding even more function?! Since you’re probably going to have furniture in your home anyway, why not fill it with composting worms? In the class, students designed home items to house red wigglers, the standard food-scrap-chomping worms. The designed worm habitats included rethinking the sink to include composting scraps, a decorative vermicomposting pottery and a scrap-depositing chopping block. The class and the results remind us that design can play a proactive role in keeping food out of landfills. And that a little unconventional thinking is long overdue! 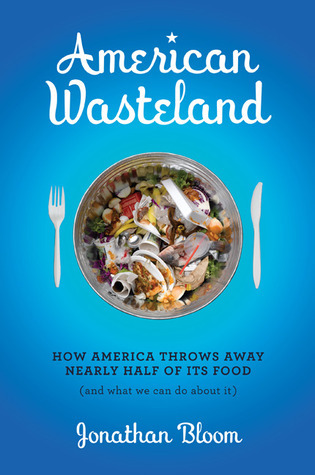 When 97 percent of our food scraps end up in landfills, it’s time to seek new answers. *Food waste must really be in the air at Ohio State, as some students and dining services employees are calling for more action on the topic. This entry was posted in College, Composting, Vermiculture and tagged Composting, food waste, Jonathan Bloom, Ohio State, red wigglers, vermicomposting, vermiculture, vermiculture furniture, Wasted Food, worms, Worms in our future. Bookmark the permalink. Both comments and trackbacks are currently closed.